The Hitsujigaoka Observation Hill is in the middle of a big city but at the same time it is in a vast pasture that extends as far as you can see. 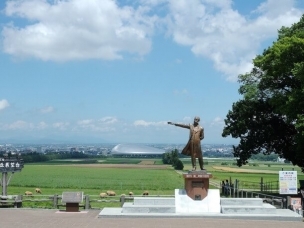 The Observation Hill overlooking the city of Sapporo and the Ishikari plain is a “very Hokkaido like” place with a countryside atmosphere where sheep enjoy grazing in the grass. 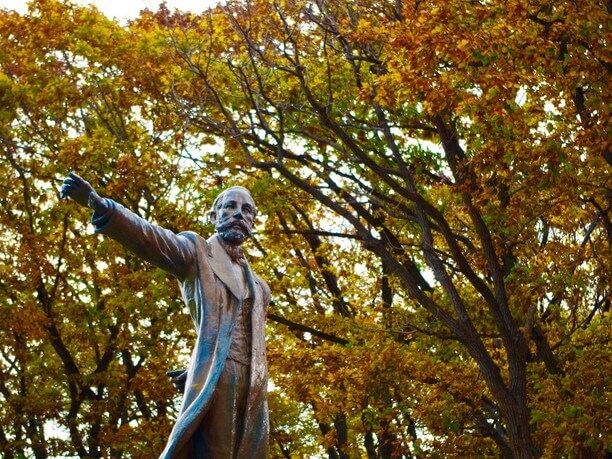 The statue of Dr. Clark on the hill is the best place for photo taking. The photo-taking protocol is that you pose exactly the same way as the statue. The footbath uses hot spring water from various places in Hokkaido. There are a lot of things that will make your visit extra fun! If you really feel like “Yes! I’m IN Hokkaido~!” from the heart, you have to come here! The Hitsujigaoka Observation Hill is about 30 minutes away from the center of the city. You can easily get here by public transportation. Take a bus from the Fukuzumi Station on the Toho Subway Line or from the Sapporo Station. The view from the Observation Hill is so Hokkaido! in the distance there extends the Ishikari Plain. It is a must to take a photo with Dr. Clark! 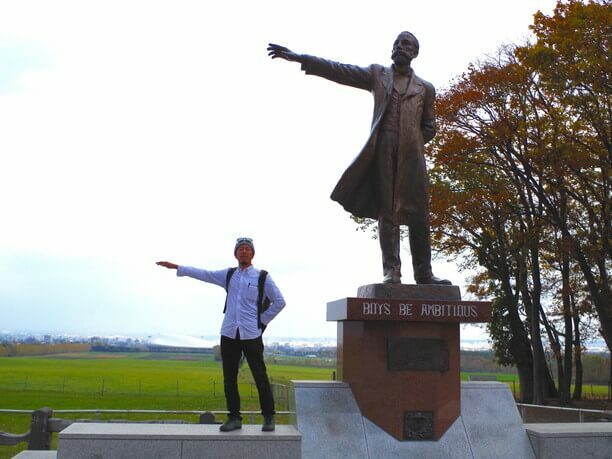 You must take a photo with Dr. Clark when you come to the Hitsujigaoka Observation Hill. Raise your right arm just like him. That is the “must” posture. There is a photo-shooting service by the photo staff in front of the statue of Dr. Clark. It is free to have a picture taken by the staff. They would use your camera to take your photos, too. Isn’t it nice of them, it? The photo they take will be printed and put in a special photo frame. 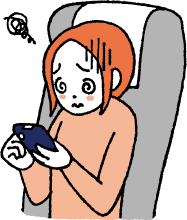 It costs ¥1,200 and you can buy it from them if you wish, but once you’ve bought the photo and you can download it on line, too. It ‘s a great deal! Pose just like Dr. Clark and have a photo taken! The photo is ready on the spot. Check the photo first to decide if you want to buy! “The Vow of Ambition” How about making a pledge to Dr. Clark? “Boys, be ambitious!” It is said that Dr. Clark, the first vice principal of the Sapporo Agricultural College sent this word to the students of that time. Why don’t you make a pledge to Dr. Clark? The following is the pledge protocol. 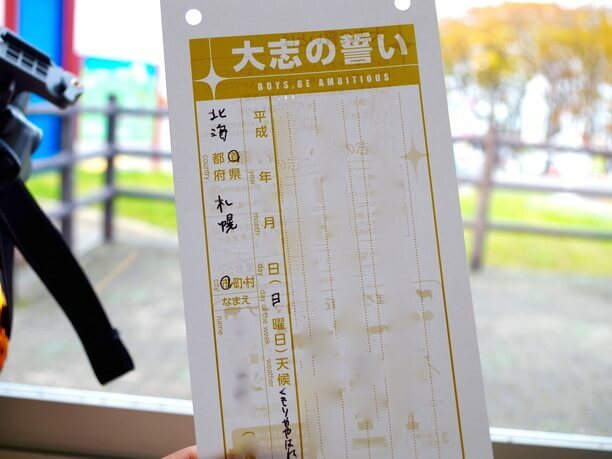 First, purchase “the Vow of Ambition” form at the Observation office in the Australian Pavilion (¥100). 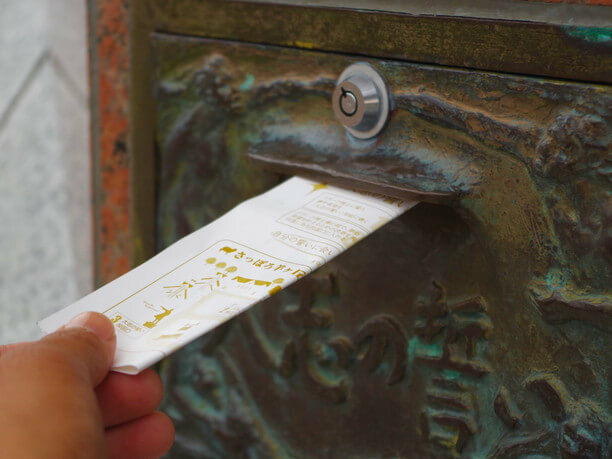 Then, insert the form into the posting box installed in the pedestal of Dr. Clark’s statue, wishing your wishes will come true. Your “Vow of Ambition” is kept safely in the office and next time you visit the Observation Hill, you can look at your vows again! Soul food of Hokkaido people. Got to try it! 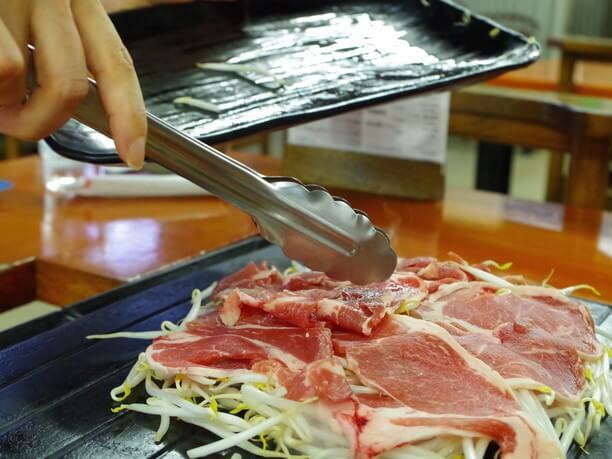 You’ve got to try “Genghis Khan” BBQ at the Hitsujigaoka Rest House. 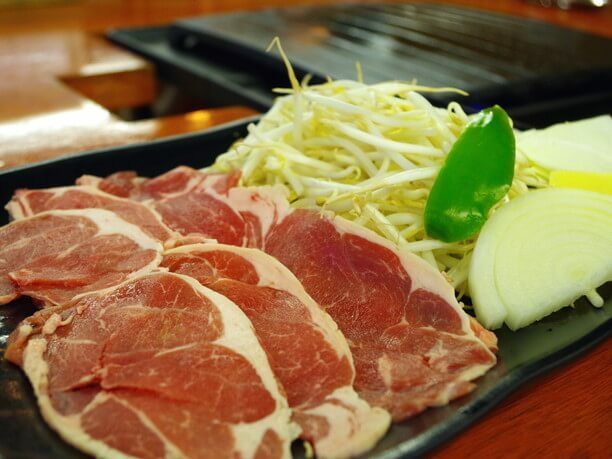 They serve different kinds of Genghis Khan BBQ with lamb, “Ezo Shika” (Hokkaido venison) and Hokkaido pork. Enjoy the taste of Hokkaido! They have all-you-can-eat Lamb Genghis Khan (2,830yen) if you want to eat until your tummy’s full. The popular menu is “Special Lamb Genghis Khan Teishoku set” (1,980yen). The waitress shows you the best way to cook it. It is very delicious. Steaming the meat on vegetables keep the meat tender. The vegetables absorb the juice from the meat. You still see some pink parts in the meat and it is ready! The Observation Hill has more to offer beside the great photos you can take. Make the best of your visit and stop by the museum. “The Sapporo Snow Festival Museum” has the must-see display of the Snow Festival posters from over 60 years ago and snow statue models. It is very interesting to see the poster design changes over the years. Take a deep breath and relax at “Hitsujigaoka Footbath.” They use natural hot spring water from various places in Hokkaido. Put your feet in, enjoy the idyllic view and you’ll relieve the fatigue from your journey. There is a gift shop on the second floor of the Australian Pavilion that sells high quality Hokkaido brand products. Dr. Clark goods are sold only at this gift shop and they are very popular! By the way, why sheep? “Ok. The Observation Hill is all right, but why are there sheep here? ?” Don’t you wonder about it? 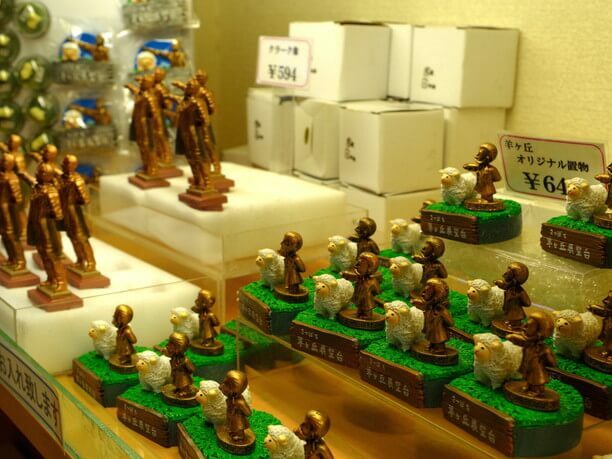 These sheep are for the Agricultural Research Center close by. 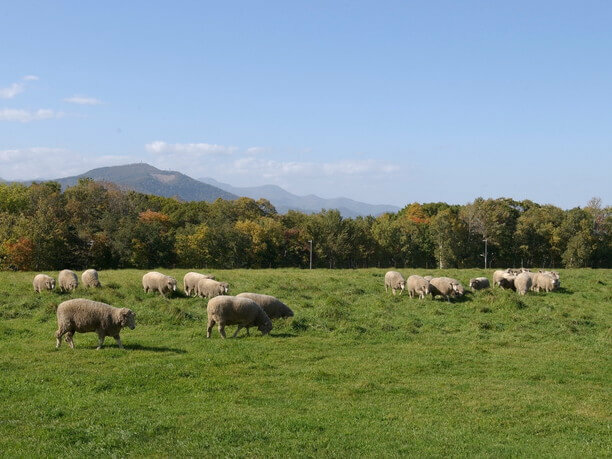 In the past, it was established as a research center of The Ministry of Agriculture and Commerce Tsukisappu Sheep Farm and they had as many as 2,000 sheep at their peak. It was getting to be known as one of Sapporo’s sightseeing spots and more and more people started to visit. The research center had to regulate the number of tourists for fear of the adverse influence of the increasing tourists on their research. 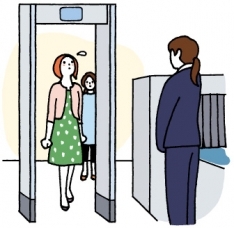 The City of Sapporo was afraid that the regulation for the visitors would have the negative impact on the tourism industry. 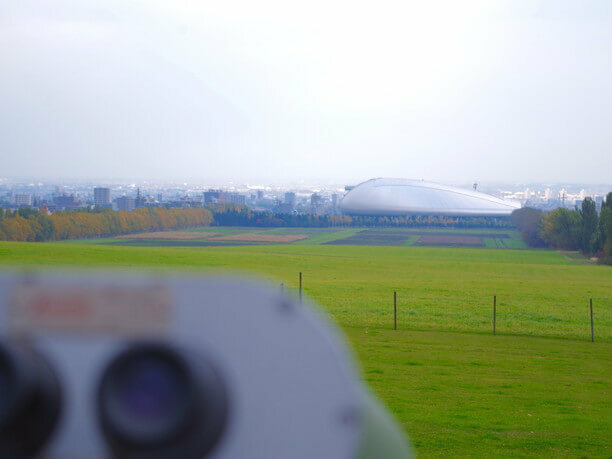 After a number of discussions, the agreement was reached to build the Hitsujigaoka Obervation Hill as a part of the research center. 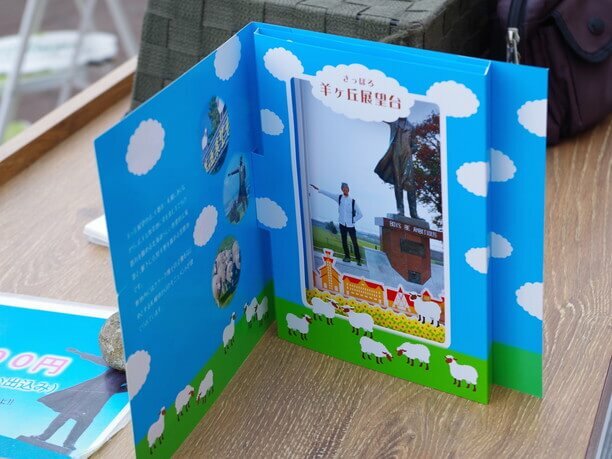 It has been run and managed by the Sapporo Tourism Association for the visitors. Now, there are still 10 ~ 15 sheep grazing out on the field. In the summer lavender flowers are in full bloom and in the winter the Snow Park is open. 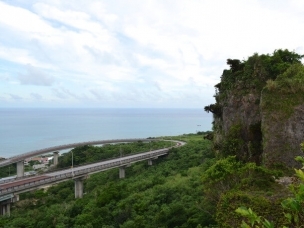 Throughout the year, a lot of tourists enjoy visiting the Hitsujigaoka Observation Hill. 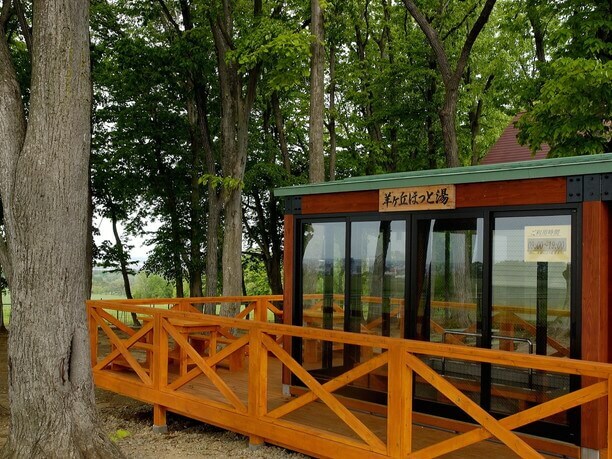 Come up to the Hill to create a great memory of Hokkaido! 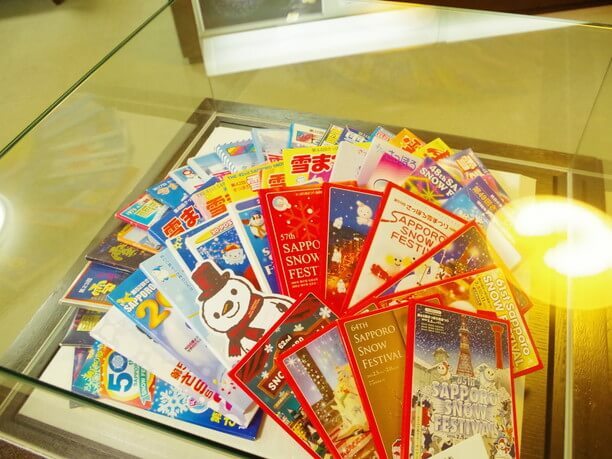 If you have plans to do some more sightseeing in Sapporo, buy “Sapporo Select” tickets. With this great ticket, you can visit 3 places within thirty minute travel time from the city. You can save as much as 950yen. You can buy it at the entrance. The sunset from this Hill on a clear day is breathtaking. “Huh !? No sheep to be around!? “ They could be hiding behind the grass or in the “House of Sheep” in the back of the field. First time to Sapporo?? Must-go places for you!